What I’m about to share with you may turn some of you away from my blog, but it may help some others so I’m pressed to share. I’m known as the “Hippie Horse Chick” up here where I live in southwestern Montana. I was born and raised in Montana and spent many years being a cowgirl, riding colts, rodeoing, barrel racing and roping. I’ve definitely done my share of cowgirl type of activities, but noticed as I got older that being a cowgirl didn’t define me. The old ranchers that live around me shake their heads at me when they spot me doing something “weird”. And I’m often spotted doing weird things! But I continue to march to the beat of my own drum and work at not letting what others think of me effect me. It’s an ongoing battle, but I would rather be my own weird self and be ME than try to be anyone else. This post is about a “weird” thing I did that no one can see and I wouldn’t have to tell anyone except my Handsome Hubby (He saw the charge on my PayPal account when he was snooping! Otherwise I wouldn’t have told him!! LOL) and my mom, who also happens to be a bit of a “hippie” and believes in this stuff too. 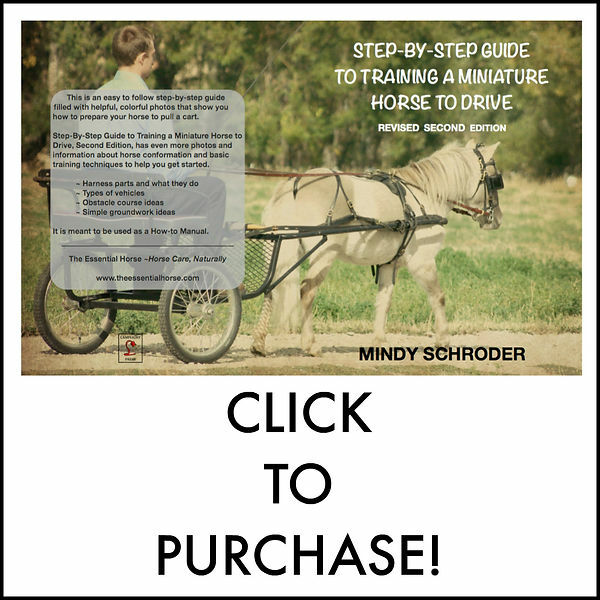 But I find this to be so HELPFUL that I figured I should share it and maybe someone that is struggling to help their horse can get some answers, without all the guessing that we have to do because horses can’t speak to us… or can they? My little mare Sky has been behaving so strangely. We’ve had her since she was a yearling and she is now about 13, so I feel I have a good baseline for her behavior and can safely say she is behaving strangely. She is MAD. So mad that I can barely do anything with her. She likes to be brushed but not for long and she stomps off, she has been making trimming her feet difficult, something she has always been a very good girl about! She walks around with her ears pinned often. She stands and stares out into the distance and whinnies. When I catch her she STOMPS her feet as she walks. Sometimes she is easy to catch and other times she will just storm off before I can get the halter on her. Again, not behavior that is normal for her. She is always the Alpha mare in a herd, but has always been a very sweet and easy going mare for us. We showed her in as many classes as we could, drove her many miles and she was one of our main parade ponies. So this behavior had me puzzled. I worried that she was missing her pasture mate Amber. I wondered if she would be happier going back to Mom’s and hanging out, just being a pasture pet again. I wondered if she wanted to be a mommy again… not that I need more foals, but if she wanted to I would consider it! But how could I ask her these things? I would sit and commune with her as well as I could, but she just seemed to be giving me the middle finger. If you own a mare, I’m sure you can relate! Here is how the session went… be prepared. Horses do NOT think like people!! First, Bonnie does a body scan. She is checking for any aches and pains that may be causing discomfort. It’s not possible to help a horse emotionally if they are struggling physically. discomfort on her right top teeth, a small ridge that I need to get floated before we drive! her neck is sore as well! So… pretty much her WHOLE body is hurting! We know when one thing is out in the body it will really effect the rest of the body, but it’s always a surprise to remember just how true this is! Because she is so sore she is angry. She is PISSED. She wants to kill all the animals and the humans that she sees. And honestly I understand. When I’m sore and hurting I too want to kill people. Oh and she has PMS. So it’s multiplied but 1000!! I asked if she missed her mare girlfriend at mom’s. She said she does miss her but not for the reason you may think! She misses bossing her around and fighting with her. She misses creating CHAOS in the herd. Captain Planet is too easy going and a push over and that makes her MAD. Oh my gosh!!! I laughed so hard at that!! Here I thought she was sad because Amber was her girlfriend and we just ripped them apart. But no. She’s mad because she can’t fight with someone! I told Bonnie that she could tell Sky she is creating a lot of chaos with ME so at least she is accomplishing that. And no wonder she’s been fighting with me! I had noticed that for the first time since Sky came to my house she DIDN’T stare off into the distance and whinny yesterday. I wondered if it was because of the new mare? Bonnie said yes! Sky is hoping that the new mare will prove to be a good combatant. I said I didn’t know if I wanted to inflict that on the new mare! LOL! Of course they will work it all out and who am I to say the new mare doesn’t also thrive on fighting? Maybe it’s a mare thing! I asked if Sky wants to drive or maybe have another baby. When Bonnie showed her a harness, Sky came back with a picture of herself IN the harness. She does want to drive, but not until we get her all put back together. I have a call into my favorite body worker Heidi Chretien so we can align Sky’s vertebrae. My aunt is coming on Tuesday and we will do a Raindrop Technique on her to help her body AND her hormones. And until then I will be doing a couple of Redneck Raindrops on her to help bring her some comfort right now. Last night I put some Ortho Sport on her front feet and her spine, hoping to give her some temporary relief right away. We’ve been getting some rain this morning, but I am heading out to work on her after I push publish on this! I hope this blog can help some of you that are struggling with your horse. (We’ve also used Bonnie to help us with one of my mom’s dogs that was giving her trouble. The change in that dog was instantaneous. It was amazing!) If you feel like your horse is trying to tell you something and you can’t hear, please give Bonnie Fogg a call and set up a session! You won’t regret it and it’s totally affordable. Tell her “Hi” from me when you call! I’ve always been intrigued by animal communicators. Part of me feels like it has to just be a scam, but… I dunno. I’ve heard some say some pretty spot on stuff!